Do you find yourself asking, what is LuLaRoe? Here, all of your questions will be answered by a Fashion Retailer. Let me help you find your best personal style! LuLaRoe: Where through fashion we create, freedom, serve others and strengthen families. A place where lives are being blessed and dreams achieved through love, confidence, purpose and growth. I am excited to announce that I am a LuLaRoe Independent Fashion Retailer! LuLaRoe is a California-based clothing manufacturer that sells through Independent Consultants, like me! LuLaRoe makes clothing for women, kids, and men. All LuLaRoe shirts, skirts and dresses are made in the U.S. out of comfortable knit fabrics. They do make clothing in solid colors, but they’re famous for their prints. They design them all in-house and only make 2750 pieces in each pattern. Those 2750 pieces are then split between the 16 styles, all the sizes, and all the consultants. When I make an order as a consultant, I get whatever they send me. I cannot make special requests for prints. That means everything I sell is limited quality since the prints change from week-to-week. That also means that I am not going to have the same inventory as other consultants, so shop with me and shop with others too! 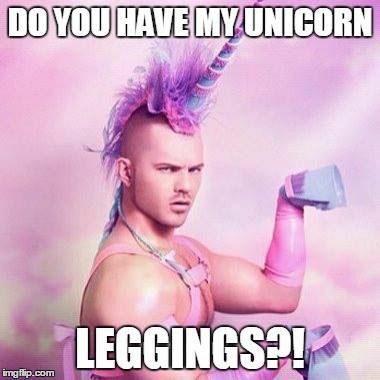 Why do LuLaRoe Lovers refer to items as Unicorns? I sell primarily on Facebook and you can find my Unicorn Stalkers Live LuLaRoe Group here: https://www.facebook.com/groups/unicornstalker/. At the beginning of each week, I’ll post that week’s schedule so you’ll know exactly when I do live sales, album sales or mystery sales. To be able to purchase from the Unicorn Stalker Group, please fill out this Google Doc so that I can invoice you. Shipping is $4 for the first item, 2 or more items is $7, and if you spend more than $125 you get free shipping! 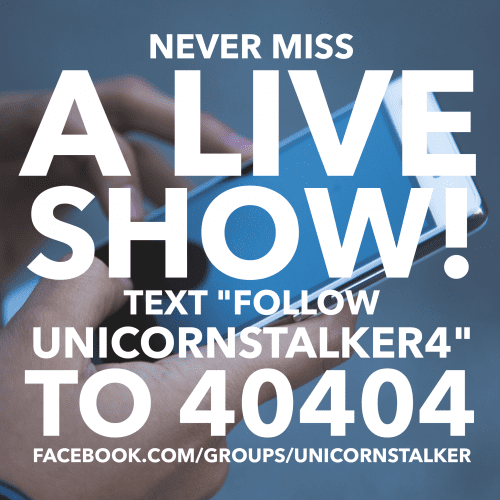 If you would like a text notification when I go Live with a sale, text “FOLLOW UNICORNSTALKER4 to 40404. There will also be prizes for those that subscribe to notifications! Why am I selling LuLaRoe? I have decided to sell LuLaRoe because I want to help others feel confident and be proud of what they can accomplish. That is the same reason I started this craft tutorial blog! My goal has always been to help and teach others to reach their potential. I had never considered myself to be a fashion nut, but for me, I feel much more confident when I am wearing clothes that I feel good in and I can strut my stuff. I have fallen in love with LuLaRoe clothing and I want to pass that along and help you feel confident in your own style too! Do you want to sell LuLaRoe too? Do you love LuLaRoe too? Please email me with any questions that you may have at [email protected] as I would love for you to join my team! Even if you are only in the “thinking about it” stage, I recommend signing up for the queue. There is a 6 to 8 week waiting period before you can onboard. It costs nothing to be in the queue and at the end, you can simply say no thank you if you have changed your mind. Visit https://join.mylularoe.com/TCBS/join to get signed up today! Congrats on starting your business! I have never even heard of this business before. It must be a west coast business! Good luck on your business! I found you from Inspire Me Monday! I am slowly learning the blog sphere! Is there a catalog somewhere with some decent sized pictures to look at? I can’t see enough of the designs, etc in the above pics and when watching your live shows it is still hard to get a real idea of what they look like. I would be interested in tops more than the pants. Hi Barbara, there is not a physical catalog, but I do have a collection of the sizing cards for each style that includes a full graphic of each style. You can find that here: https://www.facebook.com/media/set/?set=oa.1284795518315828&type=3 Let me know if you have more questions. I’m happy to help! I am not willing to join Facebook for privacy and ethical reasons. Is there any other way to do business? If not, so be it . I also do face to face sales as well. Are you thinking of selling LuLaRoe or just interested in shopping? I’m happy to answer any more questions!